Even before I started covering the advertising and marketing industry for ET, I had heard the name Alyque Padamsee. It was triggered by repeated viewings of Richard Attenborough’s Oscar-winning film Gandhi on Independence Day and Republic Day. After watching Padamsee play Mohammed Ali Jinnah in the film, my uncle would tell me stories of Padamsee. Back in the 1970s, a bar in South Mumbai called Slip Disc, which the foreign press had dubbed “the first authentic discotheque east of Suez”, was a magnet for Mumbai’s creative kind — musicians, artists and, of course, adwallahs. Led Zeppelin had an impromptu concert there once. Padamsee would often visit with friends and family to have a pint or four. Every time the Indian rock band Atomic Forest was scheduled to play at the disco, Padamsee would be there front and centre to watch his friend and lead singer Madhukar Dhas. Padamsee cast Dhas as Jesus in his 1974 production of Jesus Christ Superstar. One of my first interactions with Padamsee, though, came at a rather distressing time. It was just after the 2008 Mumbai terror attacks. Padamsee had mass-forwarded a text message asking people to join a candlelight vigil. One line about a VIP section at the march caught my attention and Padamsee and I had, over text messages, a short but civil argument. Over the years, I reached out to Padamsee several times for one story or another, but many had nothing to do with advertising. However, what always left an impression on me was his manner of telling stories. And he had plenty of colourful tales to tell about everybody — from his colleagues in advertising and theatre to the first family of Indian politics, the Gandhis. It was an art he had mastered for the screen, stage and in real life. “Storytelling” is a much abused word in the marketing world today. 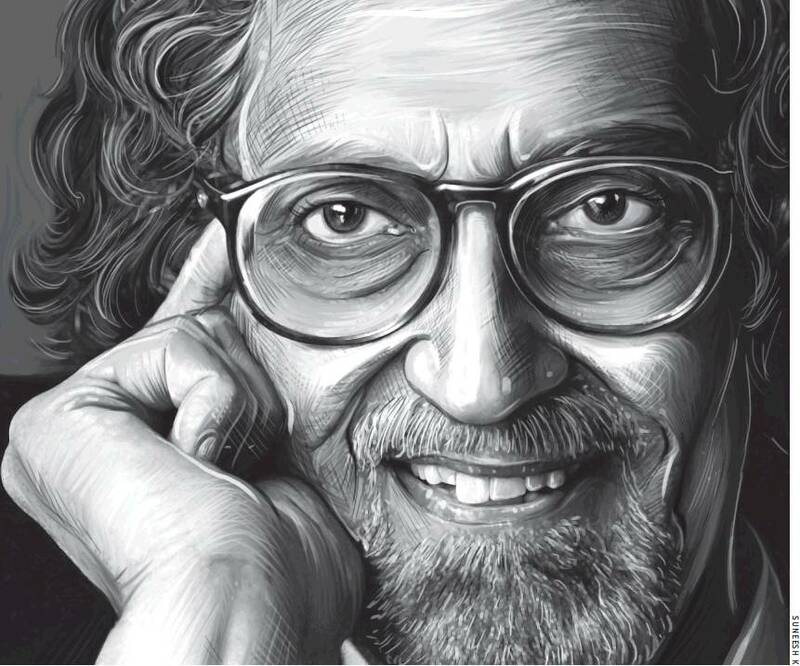 Everyone talks about “narratives” and the power of “storytelling”, but few have managed to deliver like Padamsee did in his extensive body of work. He didn’t need research to tell him what would work in the market and build brands and businesses. He unearthed insights from life around him and delivered onscreen hit campaigns that built some of India’s most iconic brands. From Liril’s famous commercial of a bikini-clad Karen Lunel singing and dancing under a waterfall to the sari-clad, conservative and samajdar Lalitaji who, as Padamsee once told me, was a character inspired by his mother. His other great contribution to the ad world was Lintas — an agency he helped build into a creative powerhouse brand, which was later led by adman and filmmaker R Balki. It produced an army of creative talent — a new generation of storytellers who went on to lead other ad firms and make famous, creative and effective campaigns. Padamsee wasn’t God. He was an adman, a theatreman and a storyteller who, in the words of Frank Sinatra, was a man who truly lived till he died.